Here it is, the book that put Katchor firmly on the map when it was first published in 1996. 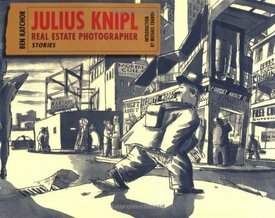 While he has been regularly producing comics in and about NYC since the 1980s, and had already had one collection – Cheap Novelties – published by Penguin (and recently reissued by D & Q), Julius Knipl, Real Estate Photographer is the book which finally attracted the attention that Katchor’s work had long deserved. Katchor’s pen and ink (and ink wash!) 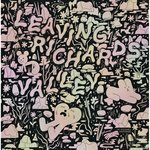 comics create a parallax lens which show a reality that is invisible to others, that transports readers through a crack in the surface of “reality” to reveal a magical series of vignettes that seem – and are! – more psychologically real than the “realities” which they displace, revealing hidden, psychic/spiritual truths of life in New York City to attentive readers. Now, especially for those who have yet to experience Katchor's work (and for those who have, and would like to share) we are offering this book at a SUPER SPECIAL SALE PRICE!